Chuck & Stephanie. The Mission Express play the Starry Plough, 12/31/13. For the first time all decade, I went out on New Year’s Eve. 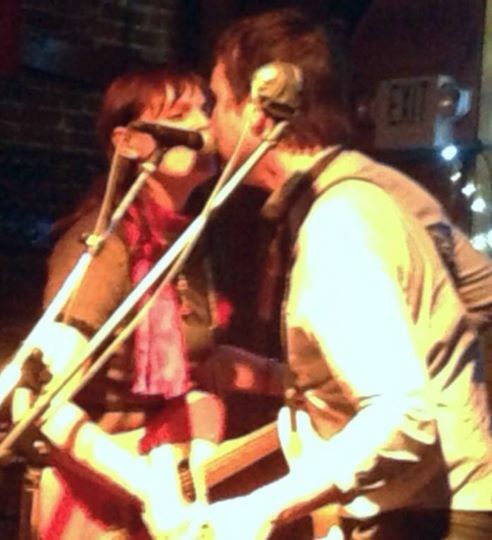 To the Starry Plough, where I saw Chuck Prophet and the Mission Express ring in 2014. After the show, I introduced myself to Chuck, and also got to meet the night’s opener, classic SF musician Patrick Winningham, whose set I unfortunately missed because 12/31 was just another late workday for me. Witnessing Chuck and his band in an intimate setting confirmed what I already knew, namely that Prophet is the quintessential front man. Winningham corroborated this after the show, mentioning that he’d been watching Chuck Prophet play since he (Prophet) was a teenager and that even back then Chuck was “Hendrix”-like. I understood what he meant. No LSD-soaked headbands or making whoopee with the amp, but getting the job done up there onstage with the guitar and making it look easy, along with belting out the lyrics and doing some crowd work. I’d call Prophet a pub-rocker, despite the fact that his last album, “Temple Beautiful,” includes forays into strings, found sound, and other elements of high concept pop. It’s that album that drew me into the Chuck Prophet universe in the first place. As a listener, I’m in it for the words, and the lyrics to the twelve songs of “Temple Beautiful” are unusually intricate, nuanced, and pithy. Not the kind of thing you’d expect to hear coming from any rock album. As I noted in my grateful 2012 write-up of “Temple Beautiful,” this might have something to do with the addition of one klipschutz (which is the nom de plume of San Francisco poet Kurt Lipschutz) to the writing mix. 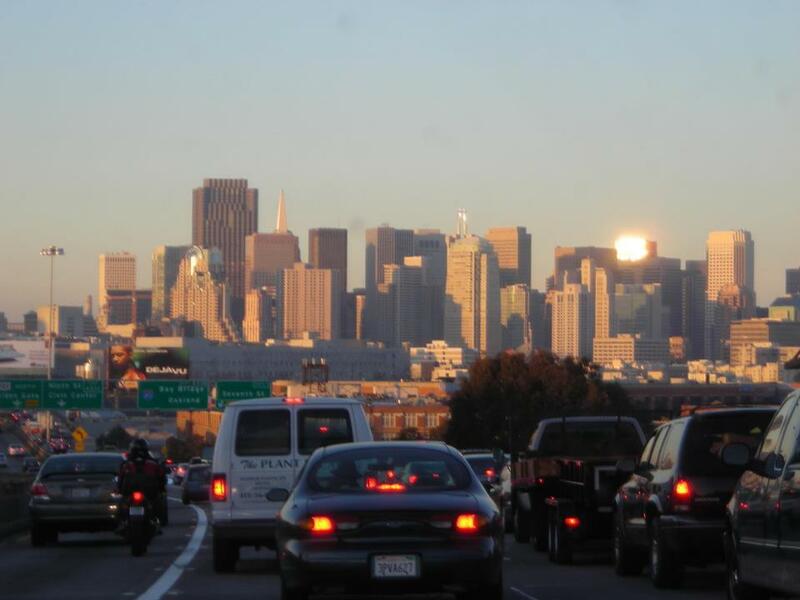 San Francisco was a tabula rasa when I arrived. The only place-history I knew of was Haight-Ashbury, before stumbling from Chinatown into North Beach totally by accident, and then into City Lights Bookstore. That was two recessions ago. I remained un- and underemployed in San Francisco for what felt like an eternity, with little more than two bags–one sleeping, one duffel–and an acoustic guitar, to call my own. There was no money to speak of, but I found ten dollars to invest in a 900-page anthology of Beat Poetry from City Lights anyway. It became my bible Farmer’s Almanac for the city of San Francisco. I came for the music and stayed for the words. There was a lot of free time back then, and no particular direction to go. I plunked away on the guitar behind closed doors, ostensibly trying to write a song that someone might want to record, but seldom making these intentions known publicly. Thus I meandered through the early 90s in San Francisco. It remains an ideal city for meandering. Song royalties were the big dream. The little dream was to gain validation from some sort of artistic peer group I had yet to find. As such, I admired the poets for their sense of mission and pride of place. They seemed to be the rightful heirs of the City’s literary heritage, the rightful inhabitants of the City’s archipelago of pint glass coffeehouses that had round wooden tables with ashtrays on top, and coffee too thick for light to pass through. But I knew I could never be one of those poets. They were cliquish, and at the live readings the poetry was usually reduced to performance spectacle. Whereas I could only be in it for the words. Meanwhile, I fell into an open mic scene with a bunch of guys who hung out at the coffeehouses on Valencia all day and liked to do stuff that didn’t cost any money at night. Showing up early at the Paradise Lounge to beat the cover charge and check out the bands was one of those things. I preferred Sundays because those were earlier shows; it would still be daylight when things got going. The scene tended to be lower key, and the bands were hit or miss. I liked that you could go outside and watch the city’s purpling skyline while the music thumped through the walls behind you. Being out on the streets like that was almost always better than being inside seeing the show. The Paradise had two stages downstairs and a smaller one upstairs. One Sunday afternoon there happened to be a poetry reading already in progress upstairs as an opening band kicked off the downstairs set. My friends were enjoying the band, but I was sucked in by the beatnik sounds of recited words above. I don’t remember the time of year, or even what year it was, just that it happened during one of those rare legitimate San Francisco hot spells, when the thermometer stays high enough to alter peoples already altered state of mind. In that upstairs room that smelled richly of stale beer and honest perspiration, a clutch of poetry readers was intent on pushing onward into the stultifying heat, even as they began to be drowned out by the grunge rock below. I lingered in the stairwell looking in on them, thinking how much I needed this. This was my rightful place in San Francisco, not standing like a wooden Indian in a pit of stoner rock down below. But down those stairs my legs went, returning me to my appointed station in life. Staying true to the ethos of slacker existentialism, this would remain the only Paradise poetry night I ever attended, and only because it had been a total accident. Though I had been drinking the stuff long before I arrived, coffeehouses were an unexpected find in San Francisco. As a youth in SoCal I probably drank more coffee than anyone my age in Los Angeles and later Santa Barbara County, and that’s no idle boast. But that coffee came from McDonald’s or Winchell’s. It wasn’t until getting here that I found the pint glass coffeehouses, and realized what an ideal third space they were for the likes of me. It was as if four years of college and four more years of slumming it abroad were all just plot vehicles driving me to the city with the pint glass coffeehouse culture. That it took a third of my life to find this other California, 5½ hours by car from where I grew up, is Alanis Morrisette-ironic, but the point is I got here at all. I encountered a girl during those coffeehouse months. A poet. Irish-born, dark eyed with pale skin peeking through tattered thrift-store black. 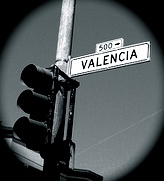 They had actual poets roaming Valencia Street back then. I managed to catch her eye once and she smiled back. But I had already looked away in shyness. There were other singular characters and strange encounters. The days seemed to be built on them and little else. Now, Valencia flashbacks like that are just vestigial memories of another century, a less sophisticated time before people took to the sidewalks with smart devices tethered in tight orbit around their heads and torsos. Some people like to be challenged by what they read. As prose distilled down to its most essential syllables, poetry challenges. All the filler is boiled away. The task is to reanimate the skeleton prose from a few double-spaced stanzas on the page into something that fills up the entire room like stale beer and honest perspiration. At first pass, you may only take in a fraction of what’s written, but you keep coming back for more; not because it’s an easy read, but because it’s a challenging read. Challenging because it’s all there on the tiny page before you, yet you can ponder that page all day and still not get half of it. Each encounter reveals something new, chipping away at the riddle–and the solution–contained within. When future filmmakers try to recreate the feel of the 20th Century, one cultural detail they might manage to overlook is the ubiquity of the newspaper, and especially the crossword puzzle. In the days before portable smart devices, people didn’t just sit there and do nothing, they kept themselves busy in private and public with newspapers. The paper was the constant companion of the restless mind and the empty pocket. You could make a paper last all day if you wanted, and no section absorbed more quality time than the crossword puzzle. More than just a pastime, the crossword was a way to be an armchair Sherlock Holmes, a cappuccino Columbo, a cracker of the Enigma Code. Each time you filled in another blank square in the puzzle you homesteaded another void in the universe for the benefit of mankind. Poetry is like that, too. Especially when it’s rich with neologisms and syntactic license, as the Beat stuff seems to be. All writing can take you there, but poetry’s conciseness means there is always a revolution going on within the words themselves. While most readers feel distanced from most poetry most of the time, occasionally a rogue poet’s voice manages to connect like a dog whistle. More than any other type of writer, the poet is in it for the glory of this kind of peer-to-peer recognition rather than any sort of mainstream success. 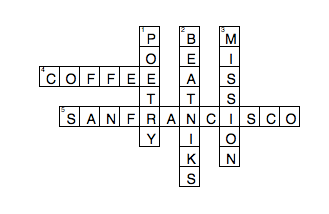 I was able to befriend Beat Poetry early on in San Francisco by taking that 900-page Beat anthology and turning it into my daily crossword. Once deep enough inside the book, I suddenly understood things. I understood where Bob Dylan’s lyrics came from for instance, and how he started writing the way he did. Dylan had sort of been the guidepost during my youthful wanderings, and despite committing many of his songs to memory and figuring out how to play them on guitar, I never managed to discover how Dylan came up with those lyrics seemingly out of thin air. Then, once I got a look at some of that Beat poetry, and especially Allen Ginsberg, I felt like I at long last understood where Dylan’s lyrical spark originated. A few days after that invigorating Chuck Prophet show at the Starry Plough, there was an urgent rapping at my front door from a man in brown with a special delivery. I accepted the package and opened it with bated breath, though I knew perfectly well what was inside. Not just any poetry, mind you, but a collection that threatened to break the seal on a time capsule that I thought had been long ago safely buried. You see, despite being a hopeless nostalgist all my life, I had finally managed to move on in recent years. Move on from the 90s; move on from San Francisco; move on from Dylanesque aspirations of pop counterculture redemption. I live in the East Bay now with a yard, a clothesline, and the sound of birds chirping in the trees. After fearing computers all my adult life, I’ve even managed to embrace the new technology enough to establish my own website. For years I scribbled in notebooks and called it a manuscript. Now, I post stuff on the web for the whole world to read. No contracts are signed and no money changes hands. At long last I had found my place in the 21st Century, I believed. 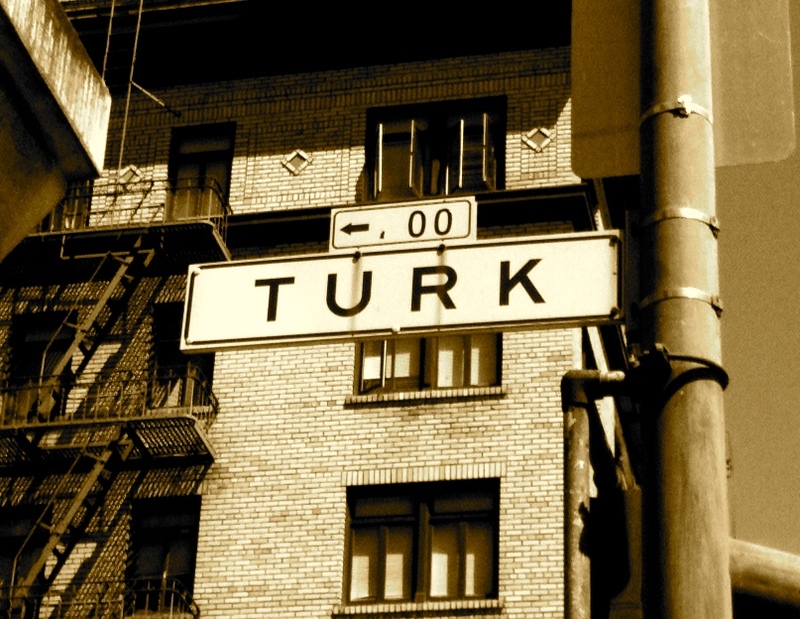 The wildcatting that had brought me to San Francisco in search of a mythological fountain of truth at the dawn of the ‘90s was now safely buried in that time capsule. In the Second Act of my adult life, I was finally at one with my world. By the time 2012 rolled around, I had long since put my “music-is-the-answer-to-everything” days behind me, or so I thought. I had pretty much given up on San Francisco itself, at least as a creative wellspring. And then along came this record called “Temple Beautiful” that was not only a triumph of the lost art of album crafting, but was also a momentous celebration of analogue-era San Francisco that debuted at a time when the city couldn’t be more binary. I spent the remainder of the year exploring that 12-song record and its cultural geography in great detail, and did so quite happily, because at long last the great San Francisco masterpiece of my generation had been written; a deeply pent up yearning had been requited. That was in 2012. Now, on a bright January morning in 2014, as the man in brown pulled away in his matching truck, I regarded the parcel in my hands with anticipation and cool sobriety. “This Drawn & Quartered Moon” was the book’s title. It was a selection of poems centered on being footloose in San Francisco that happened to be written by klipschutz, the very same poet who cowrote the inimitable 12 songs on “Temple Beautiful.” I knew I was holding kryptonite once again. I understood exactly what I was getting myself into. I had bought the ticket, and was about to take the ride. It was the New Year. I had a full docket of writing projects lined up in the In-box. The ink was not even dry on my various resolutions to be more focused and goal-oriented, but I stared at that parcel in my hands and knew what had to be done. The envelope was unsealed. Out came the book. I glanced at the table of contents and noted titles such as “(Leavenworth St. by Dusk)” and “Larkinesque.” I read through the preface piece, “Memo To Wordsworth,” which was to me like a partially completed crossword puzzle where some references were recognizable while others were blanks that needed to be filled in. This alone was enough to get my juices flowing and synapses firing. And the next piece, “In Memory of Myself,” was simply too much for words. I was reading the inner dialogue of a man rich in ideas if poor in cash resources. A man still waiting for his recognition in the world. A man whose deepest relationship seems to be with the city street life and the streets themselves. A man who, like Oliver Sacks in the book’s foreword, understands that “the concrete is readily imbued with feeling and meaning.” A man whose spiritual and timeless relationship to the City is being threatened by very real impersonal forces of short-term economics. This could almost be me that klipschutz is talking about. Almost, but not quite. He says it in the language of a poet, using words in a way I never could to express my inchoate feelings about the sublimeness of walking San Francisco’s pavement. Although this poet doesn’t know me, he teaches me about myself. Although this poet doesn’t know me, he knows my inner, secret self better than I do. So I took one glimpse of “In Memory of Myself” and hastily closed it shut, because I knew. I knew that I was opening a Pandora’s box that threatened to rip me right out of the present tense and force me permanently back into some past perfect purgatory at the corner of Valencia and 1993 if I wasn’t careful. Before I stepped into that light, I first needed to testify. I cleared my schedule right there on the spot. No more creative writing pieces could be initiated on my blog or otherwise until such time as I could faithfully render that January moment of glancing at the first pages of “This Drawn & Quartered Moon” onto paper and pixel. Only then, once the purity of that moment and the flood of memory it unleashed was etched into posterity, could I begin to peruse “This Drawn & Quartered Moon” like it was a regular book, and to resume normal blogging activity. These last 2,500 words represent the ganglia of thoughts and impulses that flashed across my brainpan the instant I opened up this collection of poetry written by a man I have come to see as the greatest working laureate of San Francisco, klipschutz. This is the reason why, except for a time-sensitive piece on Mad Men that went up a few days ago, my website has remained static since Feb. 11. 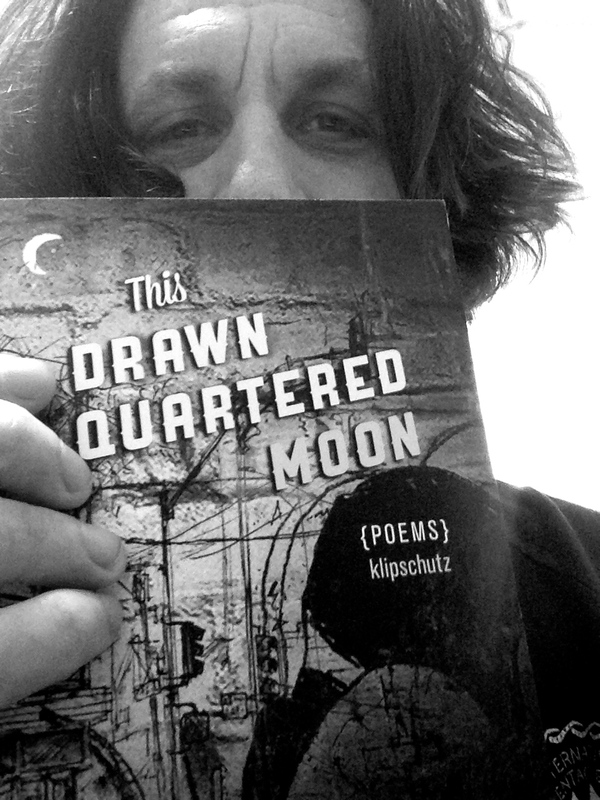 Otherwise, I stayed true to my vow to write no more until the spring-loaded explosion of feelings unleashed by opening “This Drawn & Quartered Moon” could be collected and documented for the ages. Such is the power of muses and poets. Just when you think you’re out, they pull you back in.